You Want The Timber To Silver With Age Gracefully? 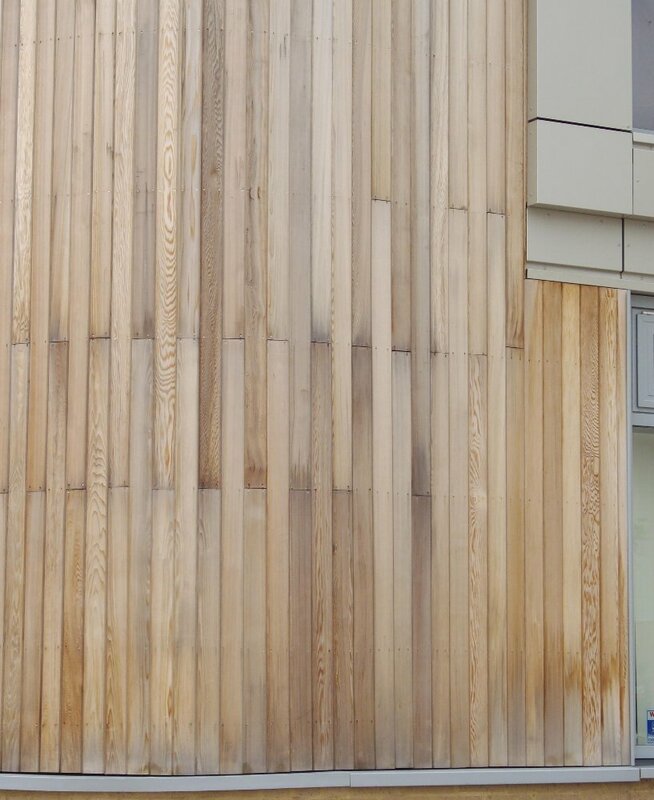 We have noted that it is customary for Architects in the UK to apply no protection to Cedar and other timber cladding with the intention that the timber will silver with age to produce a natural weathered appearance. This is apparently to reduce maintenance in the long term, with failed coatings flaking or peeling and needing additional maintenance, coatings and expense. We took some images of a random building clad in cedar that was built on this philosophy. Please peruse the thumbnail pictures below. If you click on a picture a larger image will appear. 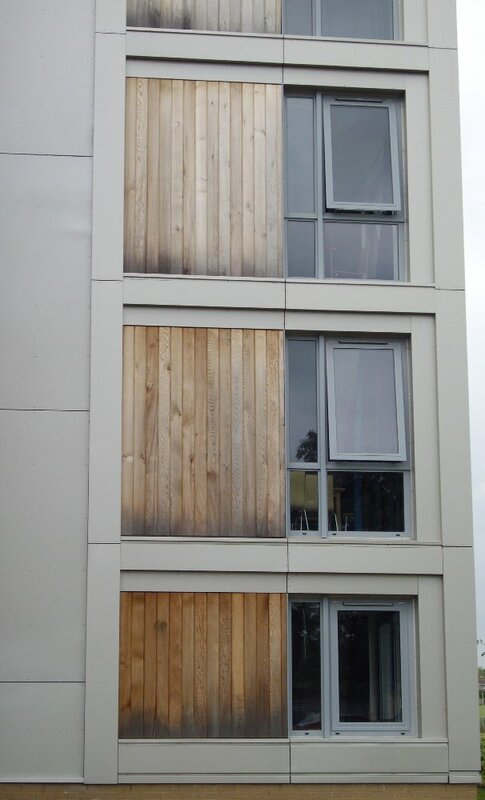 As you can see from these images, the cladding is not greying evenly. Mould stains are evident wherever the end grain has been exposed to the elements due to moisture movement and is turning black, even before some boards have silvered. Click on picture three (top right). End checking (splitting) and some surface checks are evident. Given more time the boards will try to cup and bow. 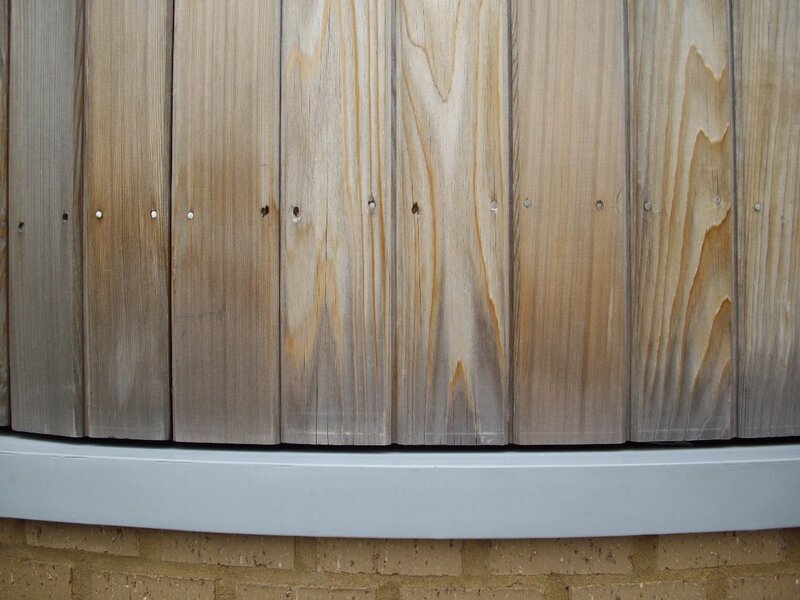 In essence, timber needs to be protected from water penetration and decay, even if it is desirable to allow the timber to silver for that natural weathered appearance and long term low maintenance. 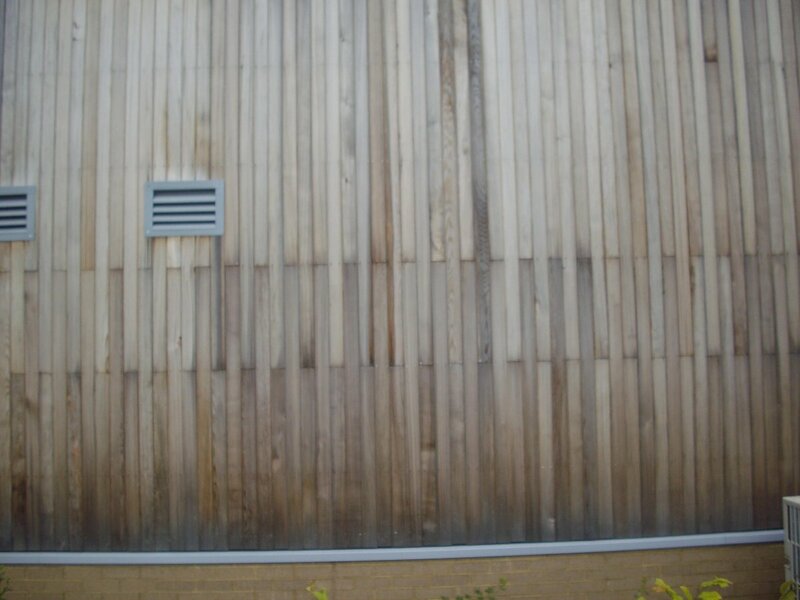 Cutek Wood Preservative, when used as a 'clear' will assist in allowing the timber to silver uniformly and will not add maintenance to the building. 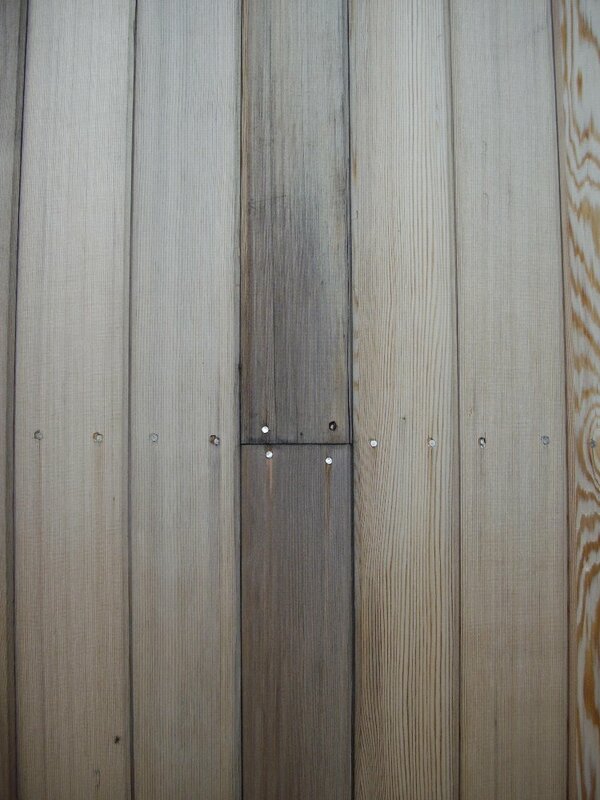 By imparting water repellency the wood will retain its dimensional stability far longer. Coupled with a UV stable, high efficacy fungicide (whose toxicity ratings make it suitable for incidental contact with food), the service life of the timber will be extended significantly without incuring additional maintenance, and will also be aesthetically superior due to it's resistance to unsightly mould stains. Whilst applying two coats to the external face of the timber works well, it is even more effective to apply one coat on all faces of the board prior to construction and then a further single coat to the outside after construction.